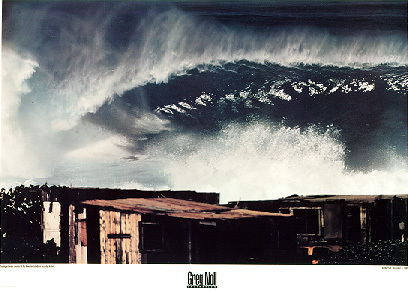 Surf Art - Greg Noll - Fine Art, Photography, & Paintings. San Diego. December 4, 1969. Billed as the biggest wave ever photographed to hit the islands of Hawaii in recorded history. The surf got even bigger that day wiping out the fisherman shacks in the foreground. Size - 27" x 38"
Greg Noll and Mike Stange. 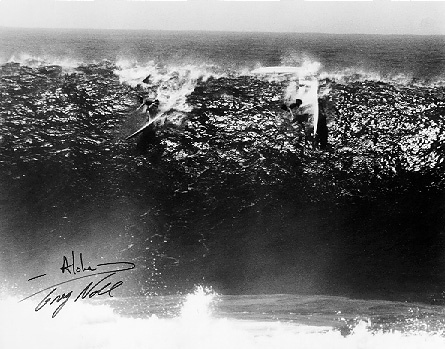 A humongous wipeout at Waimea Bay, early 60's. Waimea Bay, early morning December 1969. 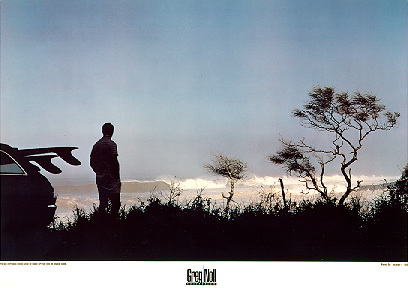 Greg Noll contemplates the gigantic surf as it reaches Waimea Bay. 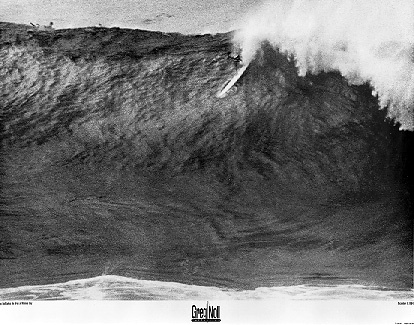 Greg Noll takes the drop at Waimea Bay, December 8, 1964. One of the biggest waves ever photographed. 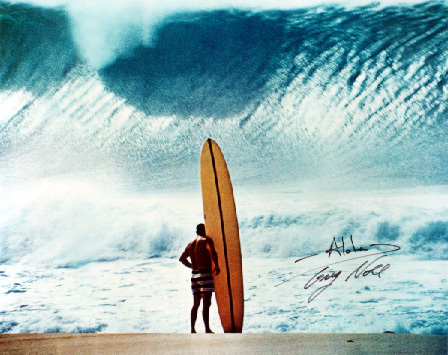 Probably the most famous and recognizable photo in the sport of surfing taken by world renowned, surfer, photographer and artist, John Severson. A short while later, Greg became the first person ever to ride outside Pipeline. 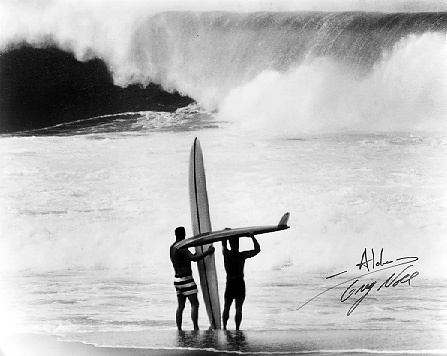 Greg Noll and Mike Stange at Pipeline 1966. Just a few minutes after the above historic photo was taken, Mike Stange joins Greg Noll on the first assault, to ride outside Pipeline. $50.00 **NOTE: This image currently out of print. Designed and Powered by Media Sprout.